Yes, I am still alive…. I’m really sorry about the lack of posts and recipes. I guess I just haven’t figured out a rhythm yet to make this work. I’m hoping now that it is summer more of the ingredients for the recipes will be in season and I will be a little more successful in actually getting to the store to buy them. 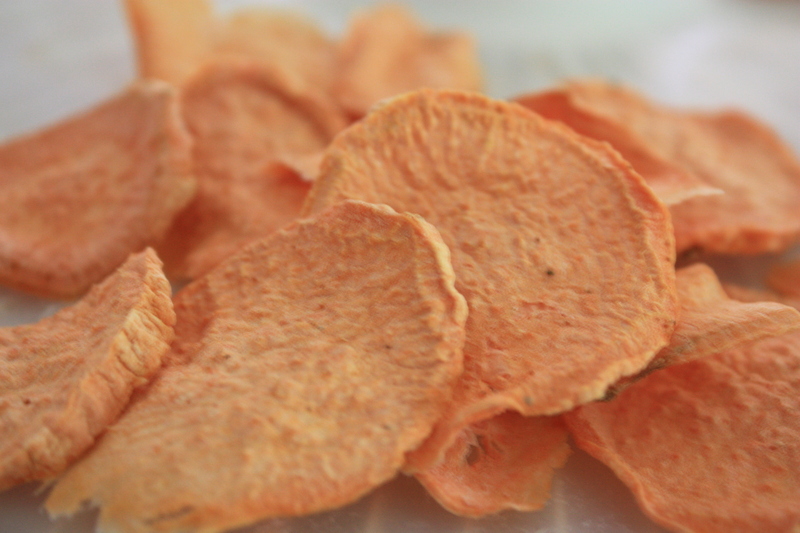 I did try Sweet potato chips pg. 306. The general idea is phenomenal. I would like to season them a little differently, experiment with other vegetables and slice them much thinner than I did. The idea is great. Why not have different veggies as chips besides potatoes??? Sounds like a great idea to me and a healthy snack!